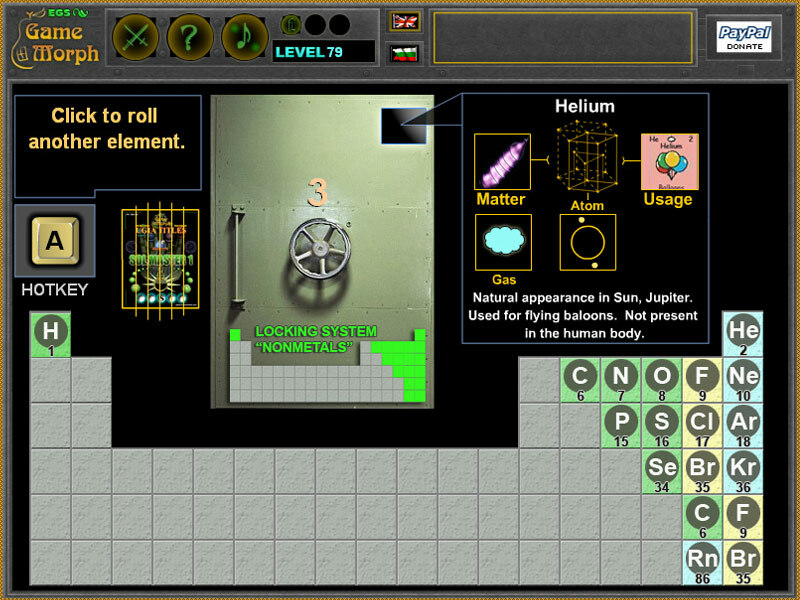 18 Nonmetal aelements in a fun online chemistry learning game. 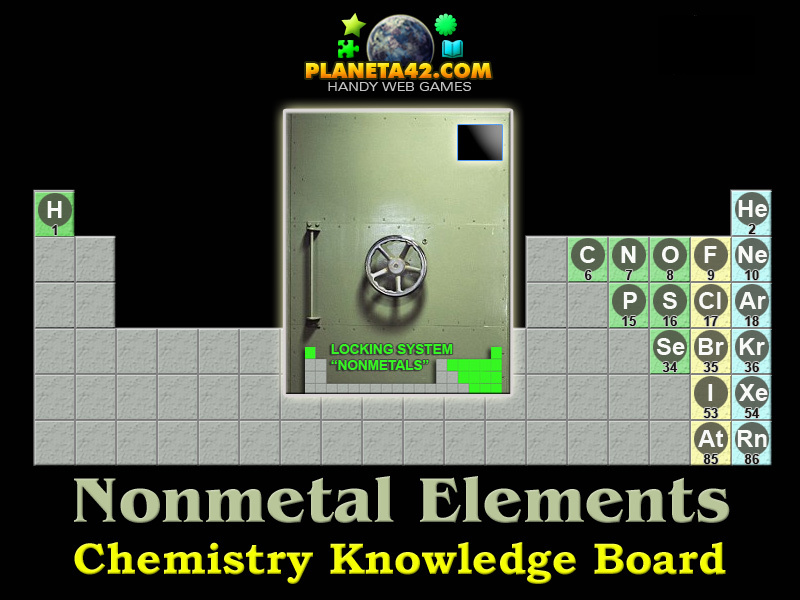 "Nonmetals" is a free online knowledge game, used to to explore the Periodic Table. laptops and tablets, which may be played in the web browser. Suitable for desktop computers, laptops and tablets. The Chemistry Knowledge Board include 18 pieces of elements pictures to play with. Part of the Interactive Chemistry Laboratory educational tools. How many Nonmetals are there in the Periodic System? What is the color of Nonmetals group? Where are Nonmetals situated in the Periodic System? Which of the Nonmetals are Noble gases? Which of the Nonmetals are Diatomic nonmetals? Which of the Nonmetals are Polyatomic nonmetals? Is Oxygen a Diatomic nonmetal? Is Carbon a Polyatomic nonmetal? Is Helium a Noble gas? the table. Also the one time hint will help, use it with good timing. Know the location of all Nonmetal elements group in the Periodic System. Class subjects: Nonmetals and Noble gases. Hydrogen, Nitrogen, Oxygen, Fluorine, Chlorine, Bromine, Iodine. Helium, Neon, Argon, Krypton, Xenon, Radon.